The purpose of this policy is to make baseball a more desirable and rewarding experience for all participants. Players, coaches, parents, and spectators are required to conduct themselves in a sportsmanlike manner at all times. The game can be stopped by the umpire or a LVTB board member when a player, coach, parent, or other spectator displays inappropriate and/or disruptive behavior which interferes with other spectators or the game. The umpire will identify the violators to the coaches for the purpose of removing them from the spectators area or playing field. Once removed, play will resume. This inappropriate and/or disruptive behavior includes, but is not limited to: � Use of obscene or vulgar language in a boisterous manner to anyone at any time. � Taunting of players, coaches, umpires, or other spectators by means of baiting, ridiculing, or threat of physical violence. � Throwing of any object in the spectators area, dugouts, or playing field, directed in any manner as to create a safety hazard. 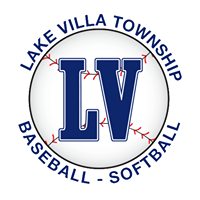 Anyone who fails to follow the policys of Lake Villa Township Baseball League may be subject to permanent ejection from all LVTB activities. Policys are located under FORMS/DOCS/FILES in the LVTB Rule Book. Liability Waiver This is to acknowledge that my child is in good physical condition with exception as stated below: (Parent, please indicate any physical problems and your insurance coverage during the on-line registration) This information will be used by LVTB and its coaches only for the childs benefit while playing the game. I am aware that the Lake Villa Township Baseball League (LVTB) is not enrolled in a medical coverage plan. I consent to the foregoing and grant permission for my child to participate in LVTB. Release In consideration of participation in the activities of LVTB, I do hereby release, indemnify, discharge, and save whole harmless LVTB, an Illinois non-profit corp., the officers and the Board of Directors, Coaches and other players and their successors, from any and all liability for damages or claim for damages, causes of action, claims, demands, costs, expenses and compensation of any nature whatsoever, and any and all known and unknown personal injuries, sickness, illness or disorder, which I may now or hereafter have (as parent and/or guardian of my minor, and also all claims or rights of action for damages which the said minor child has or may hereafter have) arising out of or connected with participation in any activities whatsoever of said LVTB. Responsibility Policy The purpose of this policy is to make baseball a more desirable and rewarding experience for all participants. Players, coaches, parents, and spectators are required to conduct themselves in a sportsmanlike manner at all times. The game can be stopped by the umpire or a LVTB board member when a player, coach, parent, or other spectator displays inappropriate and/or disruptive behavior which interferes with other spectators or the game. The umpire will identify the violators to the coaches for the purpose of removing them from the spectators area or playing field. Once removed, play will resume. This inappropriate and/or disruptive behavior includes, but is not limited to: � Use of obscene or vulgar language in a boisterous manner to anyone at any time. � Taunting of players, coaches, umpires, or other spectators by means of baiting, ridiculing, or threat of physical violence. � Throwing of any object in the spectators area, dugouts, or playing field, directed in any manner as to create a safety hazard. I further state that I have carefully read the foregoing application including the LIABILTY WAIVER, RELEASE, and RESPONSIBILITY POLICY and know the contents thereof and I sign the same on my own free act and deed. I will comply with all rules and policies of LVTB.